Patricia on Acqua di Parma Colonia and other citrus favorites, from Parfums de Nicolai and Annick Goutal to The Different Company and Guerlain. 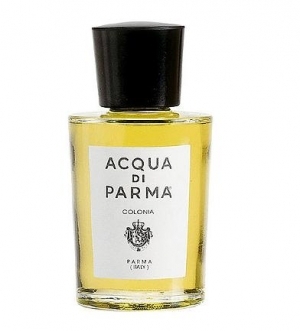 Colonia by Acqua di Parma is a fragrance with a past. Created in 1916 as the first fragrance of a small perfume factory in Parma, Italy, it was first used to scent the handkerchiefs that men carried with them at the time. Later it was the darling of worldwide celebrities seeking Italian chic in the early and mid twentieth century. Acqua di Parma then fell on hard times but was revived, along with Colonia, in the 1990s. I must confess a partiality for aromatic citrus fragrances. Like one who works out real-life problems at night through recurring dreams (being caught unprepared for an examination is a personal favorite), I repeatedly buy citrus colognes very similar in nature, the most recent of which is Colonia, purchased on a hot sunny September afternoon in the South of France. Colonia opens with a blast of realistic lemon, like the best-quality, tart, lip-puckering lemon drop imaginable. Almost immediately, the lavender and rosemary are faintly discernable, grounding the citrus with a touch of earthiness. As the cologne wears, the lemon softens and the herbs start to dominate, along with a soft and pleasing rose. The dry down is woods, amber, and a faint hint of oakmoss, lending substance and making this citrus wearable outside of the dog days of summer. Longevity is average for a perfume, but good for a cologne. I put it to a wrist-to-wrist test against Annick Goutal’s Mandragore, and I could discern faint traces of Colonia on my skin long after the Mandragore had vanished. Perhaps each citrus fragrance in my collection brings something a little different to the table. Bergamote (formerly Divine Bergamote), created by Jean-Claude Ellena for The Different Company, is a lovely transparent bergamot and ginger citrus perfume. It reminds me most of Chanel’s Cristalle Eau Verte, which with white flowers and minus the ginger, shares the same light, refreshing quality. They are both easily worn in the hottest weather and stand up well to humidity. L’Eau Chic and Eau d’Été, both by Parfums de Nicolaï, are colognes scented with geranium and mint and cinnamon and sweet musk respectively. 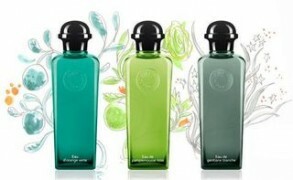 Eau de Guerlain throws caraway, carnation, and oakmoss into the citrus mix. In another favorite, Bvlgari Eau Parfumée au The Vert, also by Ellena, the lemony green tea is spiked with coriander and cardamom. Yuzu Rouge by Parfums 06130 is a fruity citrus, with yuzu, grapefruit, and black current, making it as refreshing as an iced summer punch. The Queen of the grapefruit citruses must surely be Aqua Allegoria Pamplelune by Guerlain, a sweet/tart grapefruit concoction that is so realistic wearing it is like pushing a serrated grapefruit spoon into a juicy Ruby Red and inhaling the spray. I’m always open to more cologne recommendations, if you have any favorites. Cornelia Blimber: Acqua di Parma has another fabulous cologne, my favourite: Colonia Intensa, bitter with a touch of leather. If yoy want longevity: Eau de Rochas, loved by many of us! Refined refreshment is for me Osmanthus by The Different Company. And my all time favourites are L’Eau de Cologne du Coq and Imperiale, Guerlain. Nothing beats Guerlain in my view, save Equipage by Hermes and Pour Monsieur by Chanel. Patricia: Hi Cornelia, What a great list! I own the Rochas and Guerlain and love them. I have (or used to have) a sample of Osmanthus and remember liking it but will have to find it to refresh my memory. Andy: Interesting that you love a cologne. I like spices and bitter citrus (so most of JC Ellena’s) in summer time because they last longer than the AdP style zesties and give off a dirty hot summer vibe. Have you tried Byredo’s Sunday Cologne? I find it very wearable and easy going. Patricia: Andy, I’ve loved cologne since childhood and I appropriated my father’s bottle of Royall Lyme that he brought home from a tropical vacation. Haven’t tried Sunday Cologne but just read that the notes include cardamom and star anise…sounds unusual and worth a try. Chris: I heard this cat-pee-reference regarding Pamplelune and other grapefruit centered perfumes quite often. This might be related to natural traces of sulfur in grapefruit oil in the reaction with the skin flora. Otherwise I love Guerlains Pamplelune. 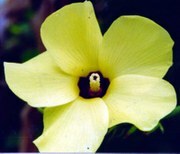 Patricia: Interesting about the sulphur. Anne of Green Gables: Oh no, why can’t you eat grapefruit anymore? I’m sorry to hear that. I LOVE grapefruit. The combination of sweet, bitter and sour taste/smell is always fascinating, like a nice suspended chord in music. I’m craving for freshly squeezed pink grape fruit juice now! Patricia: Grapefruit reacts adversely with a medication I take :-(. I miss it terribly and there is no good substitute. Elisa: I have heard that what grapefruit does is make some medications *more* effective, so it screws with the dose. You could perhaps eat grapefruit if you don’t do it near in time to when you take your medication; I’d ask your doctor. rainboweyes: I’m wearing Osmanthe Yunnan and Rose Ikebana a lot too! Actually, RI joined my to-buy list thanks to your recommendation, Anne. It’s so lovely and fresh! rainboweyes: I don’t perceive Ananas Fizz as overly sweet, to me it smells primarily fresh and fruity, with a light woody base note. Not a masterpiece really but a nice everyday summer scent. It remindes me of MP&G Bahiana which is less sweet. Sandra: Thanks for this great article. I enjoy eau de cologne by Chanel. My husband thinks it smells like a household cleaner- but I am not wearing it to please him! One thing I do love about the Eau De Cologne is you can layer it with all the other scents in the collection. Sometimes I layer it with 1932 or Beige. Patricia: Thank you, Sandra. So interesting that the Chanel Cologne smells different in the suburbs. I wonder why? Then I discovered Myrurgia’s “Le Bain Natural” concentrated cologne and I was ecstatic. There was a similarity to “Sun Shower” that I can no longer explain. Discontinued, of course. Since I still have a couple of those big bottles, I’m still using that. Claus Porto’s “Musgo Real No. 3 Spiced Citrus” is a wonderful, long-lasting, bracing cologne. Goes quite masculine on me, but I like it nevertheless. Diptyque’s “L’Eau de L’Eau” is one I’ve only recently discovered, but I love the spicy sweetness of it. Another one I’ve tried (much more lemony) is “Agua de Colonia Concentrada” by Alvarez Gomez (Spain). Patricia: Hi Annette, Isn’t it so frustrating how perfume companies seem to discontinue their best fragrances? And a big bottle of 4711 in the fridge! Patricia: Wow, Lynley, that is quite a collection! Like you I have a number of the JCEs. No full bottles, but two Jardins in travel size and decants and samples of many others. Patricia: Yes, you did, and I very much enjoyed it! Patricia: Thanks, Andy, for your on-point comment. If I went through my collection, I would find many other fragrances with citrus as their base. Patricia: I only gave Womanity one spritz, which isn’t much of a try, but found its weirdness too, well, weird for me! Nikki: Lovely lists everybody! I would like to add Bulgari’s Eau du The Vert extreme, another JCE creation. I love it, and it is discontinued! I like Jean Nate a lot, such a nice citrus with cinnamon. I also have my colognes in the fridge for hot Arizona summers. 4711 is always in my car and I spray it deliberately. I do like the Spanish colognes, too, their drydown is nice. I use Maja soaps. Austenfan: I love this post, and as it is hot here in Holland, it is very timely. I must have tried this one at some point and probably liked it. But owning so many cologne like fragrances I haven’t felt the need to purchase. Grapefruit is an odd sort of fruit in it’s interaction with medication. Not just one group but a whole lot of different groups of drugs. Merlin: Since no one has mentioned it yet i’m going to put Concentre d’Orange Verte on the list. Cornelia Blimber: Thank you for mentioning Cologne du Parfumeur! I visited the Guerlain web site: it is on the same price as Eau de Fleurs de Cedrat, Mouchoir de Monsieur(lovely!!) etc..€ 85. Never saw it in a Guerlain corner, and it is not on the list from Douglas on line shop. I never heard of it. Strange! Anyway the only place for Guelain here in Amsterdam or Rotterdam is De Bijenkorf, and the Guerlaincorner there is shabby. There were plans for enlargement, but they found it too pricey. Instead the installed Tom Ford Private Line, Armani Privé, a huge corner Jo Malone, and some expensive Dolce & Gabbana. Grrrrr. Cornelia Blimber: Douglas Den Haag (The Hague) carries the exclusive Guerlains, I bought my Sous le Vent there. I don’t like going to Den Haag, don’t know why, it is a beautiful city. According to the Guerlain web site, you can order there a bottle of La Cologne du Parfumeur for € 85. 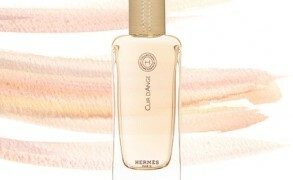 Maybe I will go to Den Haag one of these days; I am fond of Guerlains colognes. Cornelia Blimber: Den Haag is absolutely beautiful, maybe even more than Amsterdam, more open space, not so grey, more ”allure”. Hermès Eau de Pamplemousse Rose (you really should try it, it´s lovely and very grapefruity, as the names suggests) and Eau d´Orange Verte. Patricia: Hi solanace, you certainly have gone about your search in an admirably organized way.